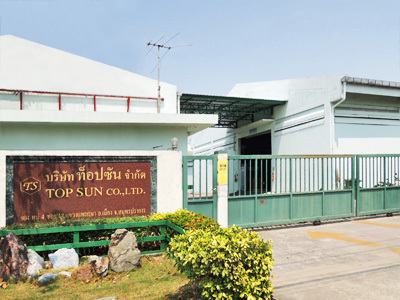 Back to Fact-Link's Top Page > Chemical, Industrial Oil,Gas > TOP SUN CO., LTD.
1. producing superior products for corrosion protection and 2. metal working. We are creating an environment that is friendly to the earth and people is one of our most important missions. We promote development and manufacturing activities that are in harmony with environmental safety in order to fulfill our responsibility in society as a good corporate citizen. Manufacturing and selling of industrial oil, chemical, Technical service. http://www.sugimura-chem.jp/index.html　SUGIMURA Chemical Industrial Co., Ltd.